Speaking Cycle 6: Let’s celebrate! 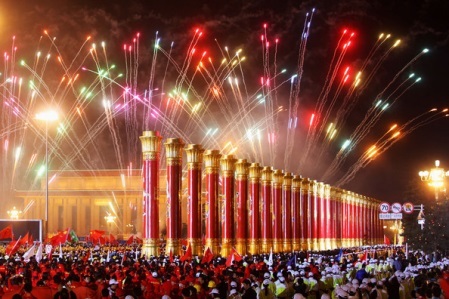 · How many different kinds of national celebrations can you think of? · What kinds of activities do you associate with national celebrations? · Think about some national celebrations which you have seen or participated in. · Work in groups of three. Tell your group about your experiences at some of these. As you listen to your partners, decide if you have ever been to similar national celebrations yourself. · Spend 15 minutes, as a group, preparing what the speaker is going to say. Think about a) information, such as what kind of national celebration event it was; where and when it took place; what it celebrates, and how; who the person went with; what the person saw and did as part of the celebration; and b) the organisation and structure of what the speaker will say. a)	When and where did the event take place? b) What was the event celebrating, and how was it celebrated? c) What did the person see and do at the event? d) How did the person feel before, during and after the event? e) Would you like to go to a similar event yourself? · As a group, decide which of the people you have heard about, in your opinion, most enjoys celebrating events of national importance.